Location and logistics that deliver. Located on US 41 and I-75, the nation’s premiere shipping corridor, Cook County positions your operation for multi-modal global speed at a central Southeast hub halfway between Chattanooga and Miami, and halfway between Atlanta and Orlando. I-10 is only 55 minutes away, the east-west connector Corridor Z (US 82) is just 20 minutes away, and just a few hours away are two international airports and three global ports. 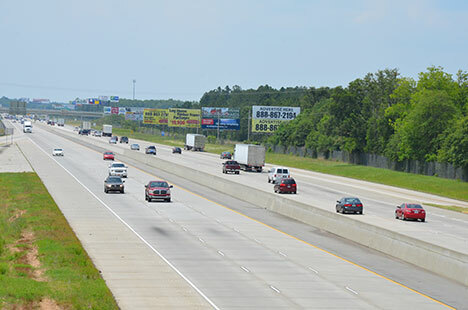 Highway connections are multiple and powerful, including immediate access to I-75 and US 41, I-10 just 55 minutes away, and Corridor Z (US 82) just 20 minutes away. One of the nation’s leading Class I carriers, Norfolk Southern connects your operation to domestic markets and suppliers across the U.S. as well as overseas markets through fast access to global ports in two states. The Georgia-Florida Rail Network, extending from Albany, Georgia and joining CSX in north Florida offers an additional rail option. Your global connections are swift and sure in Cook County, thanks to rail connections that reach three leading ports within a few hours. Port of Brunswick: Norfolk Southern offers fast access to the South Atlantic’s fastest growing bulk export/import operation where a range of industrial sectors from agriculture to automotive are speeding to more markets and higher profitability through three well-appointed terminals. (Over a dozen major auto manufacturers ship through Colonel’s Island Terminal.) Import/export through Port of Brunswick also means faster ROI and energized bottom lines, thanks to Georgia’s valuable Port Activities tax credit. JAXPORT, Port of Jacksonville: CSX connects your operation to one of the largest vehicle-handling ports in the nation. JAXPORT ships over 500,000 vehicles annually and provides fast overseas access to top markets in Asia, Brazil, Argentina, Central America, Russia, Canada and the Bahamas. Port of Savannah: Norfolk Southern also offers access to the Port of Savannah which offers two terminals and broad-ranging overseas access soon to be expanded through dredging for Post-Panamax shipping. Enjoy the ease and capability of the nation’s fastest growing container port, plus the extra profitability of Georgia’s Port Activities tax credit. Sleek new terminal facilities set the stage for twenty-first service at the Cook County Airport, a general aviation facility offering a 4000 and 5001 foot crosswind runway, 26 hangers, 24/7 jet fuel and AV gas, and an FAA approved repair station. Three international airports are close by: Jacksonville just 2 hours away and Atlanta and Orlando within 3 hours.